I became fully qualified in august 2005, So I started my journey as an electrician in September of the same year. We have grown as a company since then, although I still believe in old fashioned values & do all the work myself. 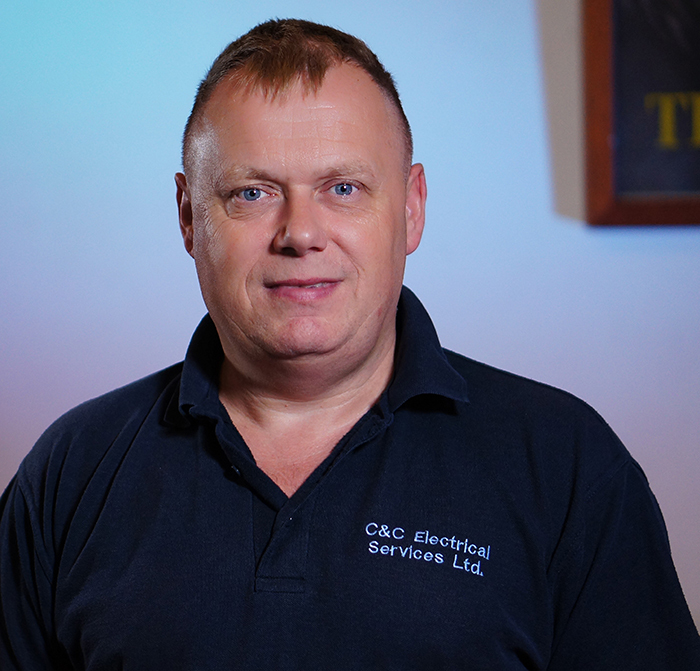 During our time as an electrical contractor, we thought the next step was to become a proper company instead of just a sole trader working from home, so in 2007 we became ‘C&C Electrical Services Limited’ & have continued to go from strength to strength with a very happy & large customer base. A perfect referral for us is quite a simple one really, anything electrical whether it is a light bulb change to a full rewire or even putting power to the bottom of the garden for a workshop. We are happy to quote for anything with a constructed & honest appraisal of your requirements followed by a competitive quote, so if you think we may be able to help then please get in contact.